Artyfactory's Art Quiz page offers you a fun way to develop your knowledge and demonstrate what you know about art and design. Each quiz is designed as an aid to study and can be used in combination with our art and design lessons. 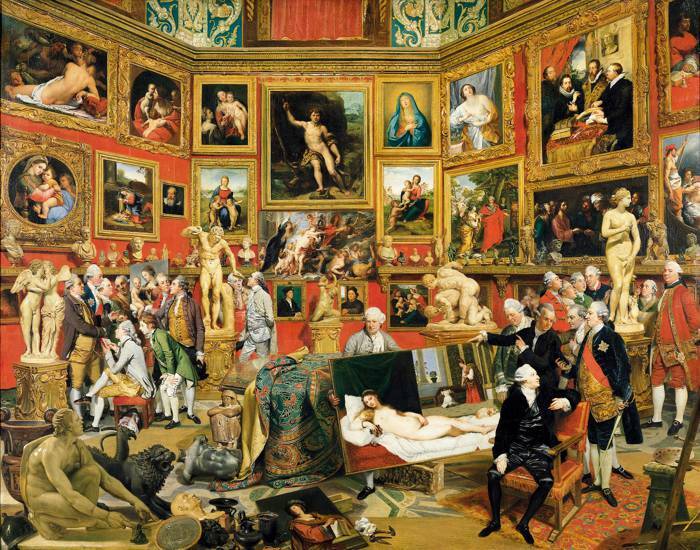 'The Tribuna of the Uffizi', (1772-78) by Johann Zoffany.